The CEO of Hearth Support Services is predicting a “war for talent” in the disability sector, which he says will result in disability support work emerging as a career of choice for many, with disabled Australians benefiting as a result. It is a big call especially when sector experts believe the full implementation of the National Disability Insurance Scheme requires substantially more funding and support to attract people to the disability sector. The Future Social Service Institute at Melbourne’s RMIT University described the disability care sector as ‘chronically undervalued at the moment’ in an April 2018 submission on disability to an Australian federal government parliamentary committee. Scanlon says his experience shows that there is not only growing interest in support work from people seeking employment, but a strong commitment to the work as well. Since he founded Hearth, he has steadily built what he describes as a ‘solid team’ of disability support workers committed to providing quality professional care. “Hearth has not experienced any difficulty in attracting quality support workers. A number of approaches have worked for us,” he says. “Part of our success has been due to referrals by our existing support workers. They have recommended Hearth support worker roles to their friends who are seeking purposeful work with a strong foundation of professionalism. For Scanlon, there’s nothing better than word-of-mouth among peers when it comes to support work. The new support workers are referred to in the East Malvern office as “Heartherals” and they make up 15% of the support work base with many of Hearths workers choosing disability care over retail. Across Australia, it is estimated that the disability support workforce is projected to grow as high as 300,000 in years to come. According to David Moody, State Manager of the National Disability Services which published the “Economic Benefits of the NDIS Report in Victoria” containing the prediction, this would mean that the sector will be responsible for the most significant economic and jobs growth in Australia’s history. “Developing and growing the disability workforce of the future is one of the hottest issues for the disability sector. But this exponential growth won’t be achieved overnight. Part of the challenge will be for disability service providers to attract and retain large numbers of support workers across the state and indeed, the country. 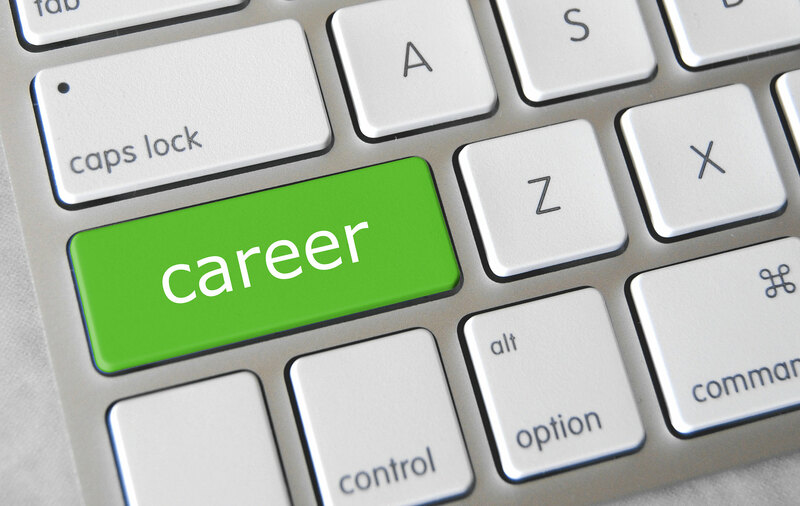 In Australia, as is the case in other countries, many people enter the disability support workforce for the short to medium term rather than as a long-term career choice. This was pointed out recently at a public lecture at the University of Melbourne by Professor Tom Shakespeare, a world-renowned medical sociologist from the University of East Anglia (UK). Referring to the case of the UK, Professor Shakespeare pointed out that support work was attractive to young people and migrants deciding on longer-term career choices as well as women who are returning to the workforce. “So it wasn’t necessary that people did it as a career, they might do it for a phase of their life, and I think that’s actually very good, as long as you’ve got input that people are continuing to come in”, he told the University of Melbourne gathering. To get good people, you need not just to train them but also to pay them – so as to value and retain them. For the NDIS sector to deliver on promise, it won’t just be about the volume of support workers. Providers will want the best support workers because the quality of care they provide will largely influence the decisions families and individuals make about who to trust with their NDIS funding. And if they’re not happy with the quality of care, under the NDIS, they can simply find another provider. So just how will providers attract more of the best support workers and retain them? How will they convince support workers to commit to longer-term careers? One key requirement will be wages and conditions. It’s a mantra repeated by many experts in Australia and overseas. From the United Kingdom, Professor Shakespeare told Hearth, “to get good people, you need not just to train them but also to pay them – so as to value and retain them.” Increasing pay rates for disability support workers was also one of the key recommendations made by the Future Social Service Institute in its March 2018 submission to the Federal Government Joint Standing Committee on NDIS. Hearth CEO Justin Scanlon agrees that the future and quality of disability support work will depend on attractive wages and conditions. But he adds that importantly, it will be the needs of people with a disability driving the evolution of the sector. This means ensuring clients are provided the care they want and need. “This is our priority at Hearth”, he says. 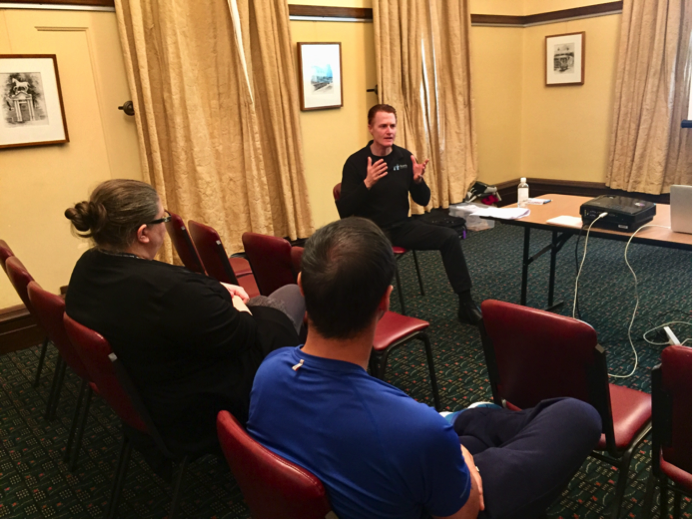 “The NDIS has been set up to ensure that the goals of Australians with a disability are achieved through their NDIS funding. This includes achieving independence and integration into the community with the assistance of the right support workers – those who are trained well and trusted by the client”. 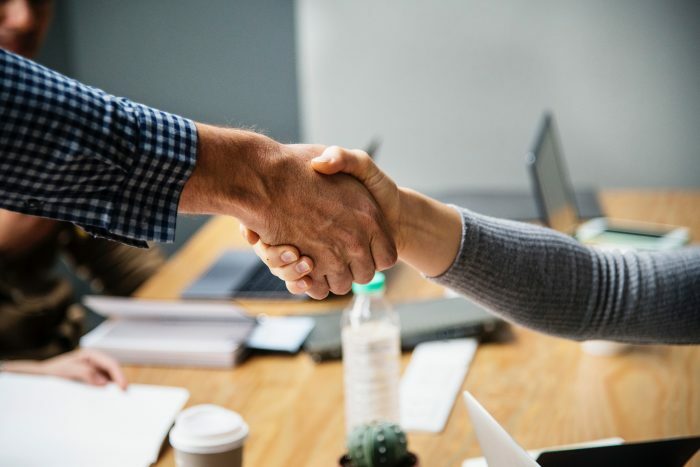 Scanlon strongly believes that the disability sector will evolve as a result of identifying and training the best support workers for the individual. 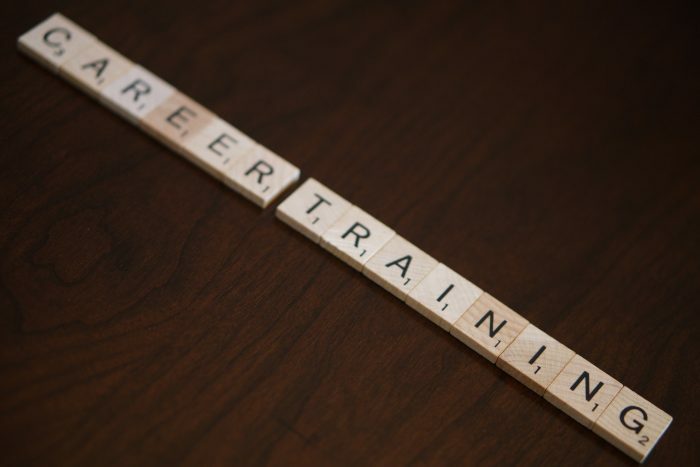 He says that the targeted, individualized approach will, in turn, attract people seeking career fulfilment and longer-term professional development. Justin Scanlon says he is already witnessing this in his team at Hearth. He believes specialist training is making a difference to the company’s support workers. “We do not send support workers in without the right training and skills required by each client. Individuals with complex behaviour issues require specialist care. So do those who have special medical needs, he says. “To ensure we can provide the right support, we have service agreements with respected institutions. For example, our agreement with a major hospital includes training which allows us to support some children with the most complex medical needs. “This is one area of our emerging specialization which is attracting a group of support workers to Hearth. Scanlon says it is now becoming an important way to attract and retain the best support workers. Hearth’s focus on individualized support based on specialization and training is already attracting a new breed of support workers. Chris Molin, a student of Occupational Therapy who joined Hearth as a support worker six months ago, describes the training at Hearth as ‘top notch’. For Chris, being able to meet individual needs is important in his work and the specialized training at Hearth enables him to deliver the support clients want. Hearth founder Justin Scanlon says this is a win-win situation and one which will see the sector evolve. “The NDIS requires that individuals who receive funding demonstrate they are achieving or progressing towards their goals. I expect families will place pressure on providers to ensure the goals in their NDIS plans are achieved. One of the ways we as providers can achieve this and ensure we are providers of choice is by providing specialized training. “This, in turn, will open up career paths for support workers, attracting a more committed labour force with career options opening up,” Scanlon adds. Some Australian experts are however not so keen on an overemphasis on qualifications. 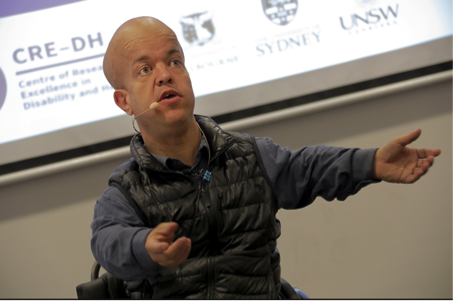 Dr George Taleporos, a disability rights advocate recently cautioned the recent gathering at the University of Melbourne. Justin Scanlon agrees the idea of professionalism in the disability sector context can have negative connotations. But he says the workforce needs to evolve to reflect this. “There’s growing recognition among disability sector professionals and academics that more is needed to help individuals reach the life goals they include in their NDIS plans,” he says. Despite Scanlon’s commitment to specialist training, he recognizes that it is not enough to ensure his team is chosen by clients. He points out that the match between support worker and the individual with a disability is critical. “So we will never send in a support worker and just hope for the best. That is the old model. “We are now expected to provide as close a match to client needs right from the beginning. For Hearth support worker Chris Molin, it’s all about understanding who you are caring for and doing whatever you can to provide the best possible support.